Nexen Construction is a proud carrier of EIFS Insurance and a member of EIMA, the EIFS Industry Members Association. Exterior Insulation and Finishing System (EIFS) is a non-load bearing, exterior wall-cladding system that boasts excellent water resistance and reduced energy usage and environmental impact. EIFS application features a high level of flexibility in design, with endless options for color and texture to match your vision. EIFS can be an economical alternative to wood, brick, stucco and other traditional finishes, with the added benefits of lowered energy costs, expanded design options, and superior insulative properties. When applied properly, EIFS will maintain its integrity and appearance for many years on any type of building. If your existing EIFS system has become damaged due to extreme wear or improper installation, we can inspect the system for problems and conduct comprehensive EIFS repair and restoration to ensure it looks and performs like new. Insulation. 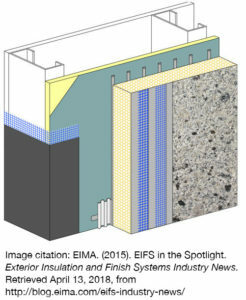 Walls are one of the biggest sources of a building’s heat and air conditioning loss, but the continuous insulation integral to EIFS can contribute to drastic energy savings. In a 2012 study, EIFS helped reduce energy use by nearly 45% over a 12-month period. And because of EIFS’ sophisticated drainage system, which eliminates moisture before it infiltrates the wall cavity, it’s one of the most water-resistant exterior systems on the market. Durability. By nature, EIFS is especially resistant to fading, cracking and weathering. Because the color is integral to the finish coat, surface scratches are almost completely unnoticeable. Where traditional materials like brick or wood are susceptible to yellowing, chalking or fading, specialty EIFS, like hydrophobic coatings, doesn’t require repainting or maintenance — and it can be cleaned using water alone. It’s resistant to mildew, mold and dirt, and super-flexible, so it absorbs the contraction or expansion of walls that can contribute to cracking. Style. 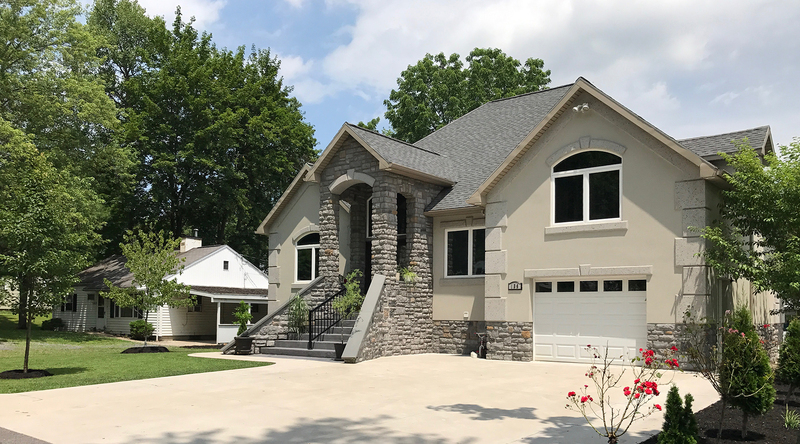 An EIFS exterior is custom-designed architecturally and installed as a system, and can be manufactured width endless design possibilities. Architectural features like special moldings, keystones, arches, cornices, cornerstones and decorative accents are optional upgrades that Nexen’s skilled applicators have much experience with.